Sigd, which represents a renewal of the covenant between God and the Jewish people, reacceptance of the Torah and yearning for a return to Jerusalem, is an ancient festival of the Ethiopian Jewish community that has for generations yearned to return to their homeland in Israel. During the holiday, religious adults fast while Ethiopian Jews of all ages pray and gather at the Western Wall to request forgiveness for sins. In Ethiopia, the Sigd holiday is celebrated 50 days after Yom Kippur on the 29th of Cheshvan by a mass migration to high mountainous areas where they would fast and pray for their return to Jerusalem. Upon the conclusion of prayers, Ethiopian Jewish spiritual leaders called Kessim read from the Torah translation (called “Orit”) and chant the service before breaking a special type of bread called “Dabu” to symbolize the bread served in the Temple in Jerusalem. Following the breaking of the fast is a festive meal with singing and dancing to celebrate the community’s roots and culture. While the Sigd holiday goes back hundreds of years, it was only recently brought to Israel when the Jews from Ethiopia started arriving in the 1980s. In 2008, the Knesset made Sigd an official Jewish holiday. Gebeye Takele was at the Sigd festival asking for signatures to present to the Israeli government to petition them to bring the rest of the Ethiopian Jews home. Takele told Breaking Israel News, “We are here to support our families living in Ethiopia – they have been waiting more than 30 years to make aliyah. They are our families, they are Jewish and they have been waiting to fulfill their dreams to come here. We would like to see them here,” he told Breaking Israel News. Aaron (A.Y.) 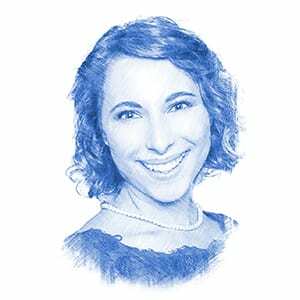 Katsof, director of the Heart of Israel, an organization that works to increase awareness and raise money to resettle Ethiopian Jews in the Biblical heartland, is similarly trying to bring the last Jews of Ethiopia home. “Sigd in Israel represents God’s fulfilled promise of the return of the Ethiopian Jewish people to the land of Israel,” Katsof told Breaking Israel News. Even after their aliyah to Israel, the Jews of Ethiopia continue to pray for Jerusalem as many of their family members await the land promised by God and by Israeli ministers who have long pledged to bring the remaining Jews of Ethiopia home to Israel. “For the ones who still haven’t been able to return to the land, the meaning of Sigd is stronger than ever,” said Katsof. Recently, the government approved a further wave of aliyah for Ethiopian Jews to reunite them with their family in Israel. However, once they have settled in Israel, the community still experiences great challenges. Ethiopian Jews in Israel experience discrimination in various fields including law enforcement, health, education and employment. According to a report published two years ago and headed by Director-General of the Ministry of Justice Emi Palmor, criminal charges are brought against Ethiopian-Israelis at higher rates than their representation in the population and often for relatively insignificant matters, such as refusal to present identity documents or violations of laws on public consumption of alcohol. 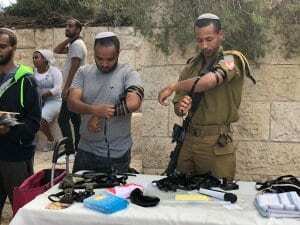 In light of these alarming statistics, Israeli President Reuven Rivlin – who spoke at the ceremony and communal prayer on Wednesday, as well as Justice Minister Ayelet Shaked, issued a special appeal to the Ethiopian-Israeli community to submit requests for pardons ahead of the Sigd holiday. 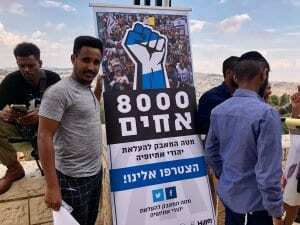 They called on Ethiopian Israelis who have been charged in the past for public order offenses and for which no custodial sentence was imposed to apply for the criminal record to be deleted. “We have much work ahead of us, but how good it is to know that we have returned home. When we are here together, sharing Israeli Hope and a single path that leads to Jerusalem. Happy Sigd!,” concluded the president. Walking through downtown Jerusalem, #Israel, I came across this group of teenagers celebrating the #Ethiopian #Jewish festival of #Sigd.